- The things that we pursue are very important in our daily lives. 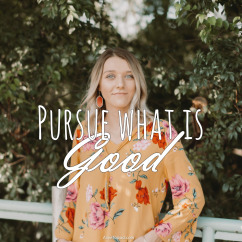 - Pursuing the right things brings life, pursuing the wrong things can destroy us. - We should pursue what is good and shun what is evil and inappropriate. - Let us be those who will cling to the Lord and pursue what pleases and honours Him. Prayer: Lord, thank You that I can choose what I will pursue and make a priority in my life. I choose YOU and I choose to live a life that honours You. Amen. - Turning situations around for the good, is part of the wonderful nature of God. - The Lord is able to turn things around, change things and even overturn things. - His hand in your life can take your heavy steps and turn them into leaps of joy. - Give all your weights and the burdens to Him and let Him turn things around. - You can be reassured of the Lord’s grace and care for you each day. - He knows the days of our lives and He planned and purposed each one. - As His child, your eternal destiny is settled and secure. - As we walk the road of life, He will watch over and pursue us with His love. 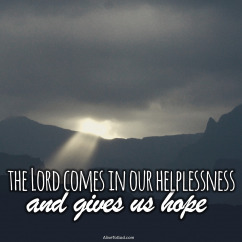 - We need to consciously put our hope and confidence in the Lord. - Hope is that confidence that God will come through for us. 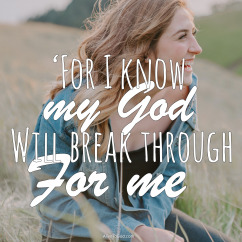 - May I challenge you to put your hope in God! - He can turn darkness to light, sadness to joy and trouble to triumph. Prayer: Lord, today, I consciously and by way of a quality decision, place my hope and confidence in You. Be the Lord of my life and the Rock on which I stand. Amen. 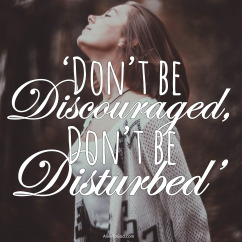 - There are so many things that can come and discourage and disturb us. - We are often faced with such challenging situations and circumstances. - We can either allow them to overwhelm us, or we can choose to trust the Lord. - One word from the Lord can turn things around at any moment. - What a wonderful joy to know that our futures are in the Lord’s hands. - We don’t have to work everything out or solve every situation. 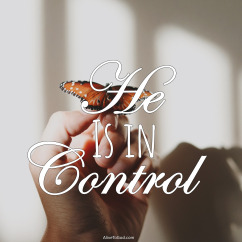 - He is in control and He is our provider and source. - Give every concern, worry and care to Him, and He will take care of you. Prayer: Lord, I place my life and my future into Your hands. You are my source and so I will keep my eyes on You and see how You will undertake for me. Amen. - When we realise that the Lord is all we have, we realise that we have all that we need. 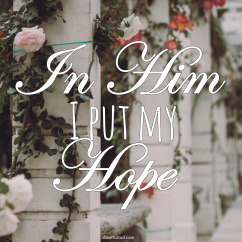 - Don’t put your hope in other things, put your hope in Him. - For this reason you can have hope and be filled with confidence. - We need to remind ourselves that the Lord is faithful, and His faithfulness is great. - He has been our Faithful One in the past and He is our hope for the year to come. - In addition, He comes and makes His new mercies available to us on a daily basis. 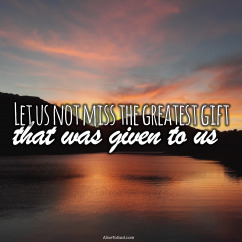 - Embrace, take hold and receive his new mercies for today and for this new year. Prayer: Lord, thank You for Your fresh, new mercies that are available to me right now. Help me to face this year fully persuaded that You are faithful, and that I have nothing to fear. Amen. - You and I have a purpose and plan to fulfil. 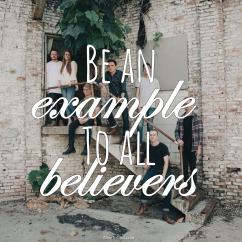 - We should be like shining lights and examples to those around us. - Regardless of whether you are young or old, let His light shine through you. - His light, shining through us, can change the world in which we live.